One happened years ago, and the other had never happened at all. Now that the final weigh-in at the BASS Elite Series event on the St. Lawrence is over, there are two noteworthy things to report. The first is that Edwin Evers won over the weekend, marking the first time in the history of the Elite Series that an angler has won back-to-back events. 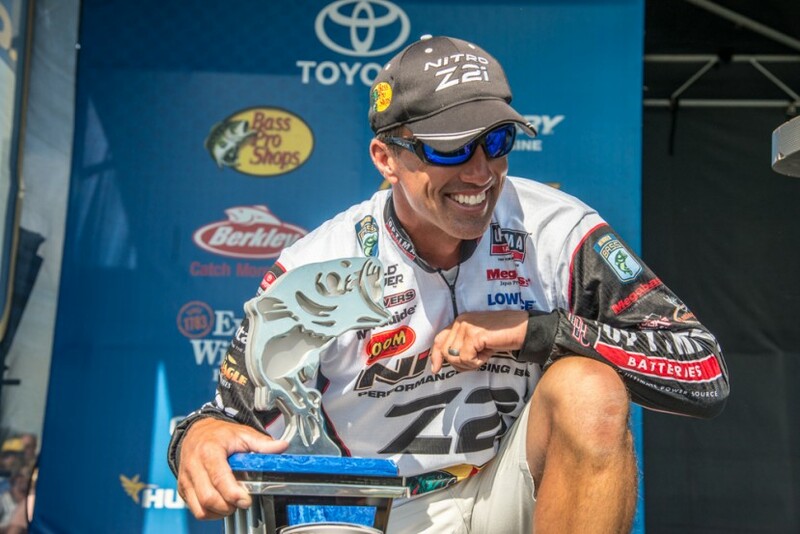 Evers won BASSfest at Kentucky Lake in June, and his latest win marked the 10th of his career. Evers is a former No. 1-ranked angler in our Pro Rankings, and his victory did move him up to 23rd, but the other big news is another former No. 1 is back on top. Even before the St. Lawrence event, Brent Ehrler had overtaken Andy Morgan and Bryan Thrift for the top spot in the rankings. Ehrler finished 31st over the weekend, but he was still able to retain his hold, as he is now the only angler in the last two years to average beating more than 80 percent of the field. Also noteworthy is that while Morgan and Thrift played leap frog in the top slot for the early part of the year, they’re now Nos. 4 and 3, respectively, as Anthony Gagliardi has now taken over the No. 2 spot. In the next few weeks there is the BASS Elite Series event on the Chesapeake Bay and the Forrest Wood Cup at Lake Ouchita, so watch for things to shake up even more in the dog days of August.